This page is a place to share information about eagles along the Shell Rock. This bird was photographed in January 2005, between Marble Rock and Greene, during a few days that were warm enough to open water for canoes. 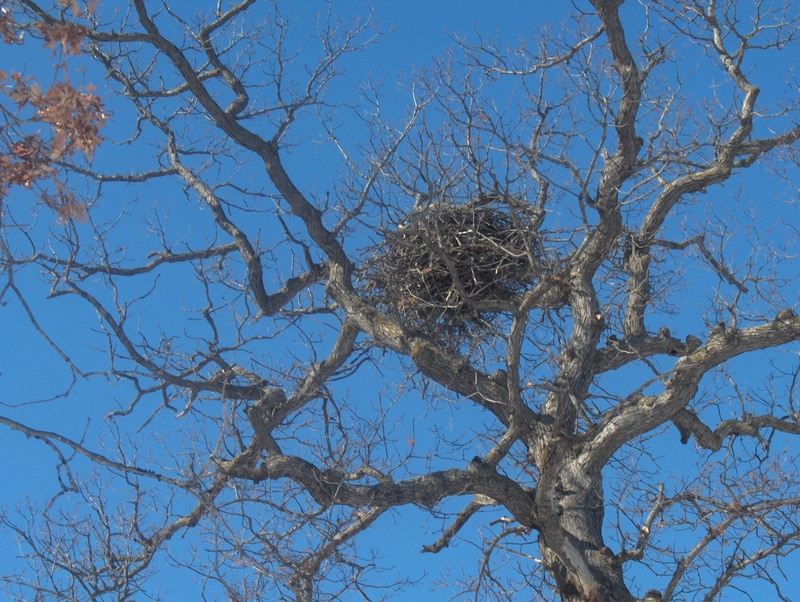 The City Park eagles have prepared their nest for spring. It’s amazing how big it is.